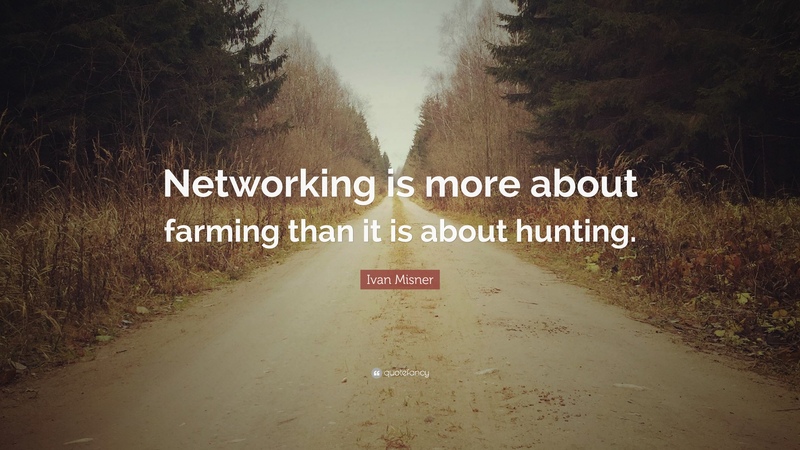 I ended my first LinkedIn article by saying, “Network for the purpose of building long-term relationships (farming) and not just for a job or a career change (hunting).” Although, when I began networking, I did it just for hunting. The following article is an account of the mistakes I did while networking and what I learned from them. I worked as an Account Manager in Mumbai, India before I moved to Toronto in May 2016 to study Project Management. I wanted to take my career in a different direction, get international exposure, and also give my family a better life, hence the move. Within the first week of college, my professor, Sandee Vincent recommended that we start networking sooner than later. Apparently, I did not realize the value of networking back then, but now when I look back, I am grateful to Sandee for planting that idea. Within the first month of my arrival, I had already attended two meetups/events in Toronto which were related to project management (PM). As a PM student, getting the opportunity to work as a PM intern would mean that I was ahead of the game so, only hunting was on my agenda. I steered all my conversations at these events towards finding internships or part-time opportunities. Although, in doing so, I noticed that not many people were genuinely interested in talking to me. I would also draw a blank or wouldn’t know what else to talk about after a minute or two. When I took that approach, I kept blaming my confidence, my communication skills or the fact that I was a student (low self-esteem), for not being able to hold a conversation for longer. However, I got an opportunity to volunteer, so that kept me engaged and made me go back to these meetups and events. By Fall 2016, I had become good friends with two of my college seniors, Jugal Desai and Ebin Tom and we began attending and volunteering at these events and meetups together. After our first meetup together, we did a mini-retrospective to share our learnings (over a nice meal), which wouldn’t have been possible without my new networking buddies. To our surprise (apart from our order being delayed), all three of us shared the same concern – not many people were genuinely interested in talking to us. Between trying to figure out what could be the reason and the delicious meal that had belatedly arrived, we chose the latter. Some may point out that these three points have been taken straight from the book, “How to Win Friends and Influence People.” Well, if either of us had read this book back then, we could have given credit to Dale Carnegie (or maybe I just did). In retrospect, we did precisely the opposite. We were not curious to know more about the other person because we had our agenda (hunting, remember?) which made us talk more about ‘our’ accomplishments, and this, in turn, made people disinterested in continuing a conversation with us. Having this realization about our shortcomings made us reevaluate our approach for the next meetup (retros are awesome!). With this new knowledge, we began conversating at the next meetup by being genuinely curious and trying to know more about the other person which in turn allowed us to talk less and listen more. It is worth noting that we still wanted an internship/part-time/co-op job and it was difficult not to concentrate on our needs (oh! but we are humans after all). However, we made a conscious effort not to focus on our agenda and indeed, we noticed a difference in the way people interacted with us. The same people who had spoken to us for not more than a minute or two before were now conversing with us for more than five minutes which was validating, and we knew that we were on the right track. I did end up getting a co-op job through a friend’s reference whom I had networked with in the past. Jugal got his co-op through his classmate’s recommendation, which tells me that networking does not happen at events or meetups alone, it can happen in a classroom too. Ebin had to apply for his co-op formally. Each of us had different experiences getting our co-op job but what’s interesting is that we were re-hired by the same organizations after we graduated, which tells me that networking happens in organizations as well. Our focus has, since then, shifted from hunting to farming. I am eager to hear more about your retrospectives on networking with your networking buddy. How would you do that? Hey Shahin, I realized I missed responding to your comment. I would talk about the things that I learned and want to research more on. I would also talk about some of my observations about the event and how it was organized. Then, my networking buddy would do the same. Of course, it is not a structured conversation but more of a dialogue between us. What are your thoughts? Thanks Vivek! Sorry, I know a few Viveks so I have to ask, do we know each other?